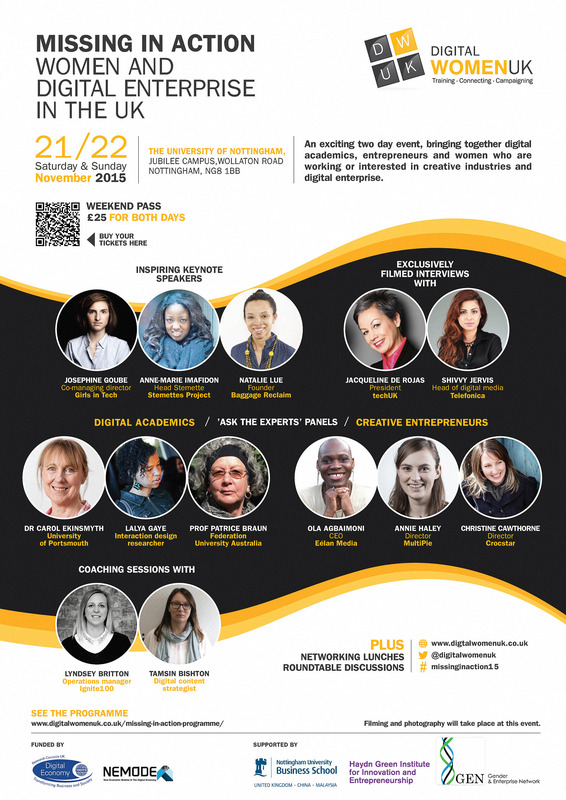 On the 21st and 22nd November Digital Women UK are hosting a two day event at Nottingham University and I am delighted to be part of the “ask the experts” panel discussions. Over the two days digital academics and creative entrepreneurs will be getting together to discuss challenges, issues and experiences of working in the digital industries. There will be speakers from across the UK’s digital sector as well as panel discussions and coaching sessions. If you are a women working in the digital/creative industries, or are aspiring to be, then do come along.